We have written previously on this strange case: see our earlier piece here. The Varnished Culture had a representative at this lecture by Tom Mann, re-visiting his book on the Stevenson / Szach case. 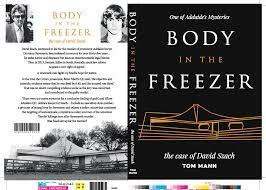 There’s not not too much new in Mann’s thesis: the forensic evidence as to time of death is wobbly – the distance travelled by Szach to Coober Pedy overnight is inconsistent with his presence about the time of the killing – the execution-style and surfeit of possible suspects – the dodgy identification evidence – the mysterious young man turning-up at the Legal Services Commission, etc. 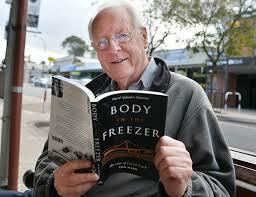 We have not read Mr Mann’s book, but frankly, his lecture failed to persuade us of a case to overturn Szach’s conviction. And the author’s conspiracy theories didn’t encourage us either. Nevertheless, absent material to be presented in a possible imminent appeal, this book is probably a good starting point for amateur sleuths, abroad in the City of Unley and beyond.